will be Wed. August 31, 2011 at 11:00 A.M. at the Friendship Baptist Church in Americus, GA. Burial will follow at the Green Grove Bapt. Church Cemetery in Smithville, GA.
Sean G. Scott was born on December 19, 1989 in Albany, GA to Sedrick Scott and Leah McIntosh. 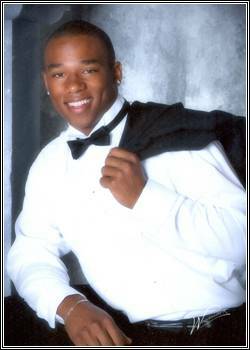 He was educated in the Lee County School System until 2005 where he was an outstanding athlete. He then moved to Florida where he attended and graduated from Hudson High School. There Sean continued his excellence in athletics as a star Linebacker and Running Back on the football team. Sean set his High School’s single season rushing record and was named Player of the Week several times during his playing days. He attended Green Grove Baptist Church in Smithville, Georgia. He was employed by Inglett & Stubbs Electrical Construction Company as an apprentice electrician. Sean died tragically on Thursday, August 25th at the Phoebe-Sumter Medical Center. He leaves to cherish his memory his parents: Sedrick & Shonda Scott of Atlanta, GA and Leah McIntosh of Leesburg, GA; Brothers & sisters: Gage King of Leesburg, GA Sedrick Deshun Scott, Steven Donale Scott both of Atlanta, GA and Shania Danyale Scott of Atlanta, GA; grandparents, Mrs. Ethel Scott, Mrs. Thelma McIntosh both of Leesburg, GA and Ms. Martha Snead of Americus, GA; aunts & uncles: Cissy McIntosh & Carl Lovitt of Tampa, FL, Keith McIntosh of Indiana, Nikki Hinkle of LaGrange, GA, Jeffrey & Renee Waters of Washington, DC, Ricky & Robin Waters, Jerome Waters, Sr. all of Smithville, GA, Alonzo & Kiwana Waters of Leesburg, GA, Tommy (Angel) Clark, Tyrone Snead, and Michael Terry all of Americus, Chris Snead of Atlanta, GA,; his God-mother Mrs. Doris Isaac of Washington, DC. Several other relatives and friends also survive. will be Saturday September 3rd at 11:00 AM at the Old Corinth Baptist Church with Rev. Christopher McKinstry officiating. Burial will follow at the Cooper Family Cemetery. 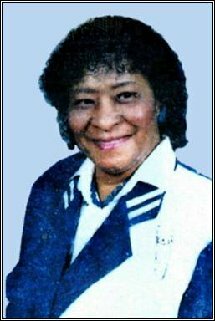 Eddie Mae Cooper was born on October 30, 1938 to the late Leaston S. Cooper Sr. and Elnora Westbrook Cooper of Leslie, GA. Eddie received her primary education in Sumter County, Georgia. In the summer of 1958, she met and fell in love with Donell Henderson. They were wed and then moved to Miami, Florida, where she became a seamstress and homemaker. To this union four children were born. Eddie Mae was a very ambitious woman. She attended Dorset Skill Center, where she earned a trade in clerical work. She later attended Miami Dade College, where she earned a Degree in Social Work. Eddie was always helping others, which led to her career change. She met and overcame many challenges and found another calling in a different line of work at the Opa Locka Public Works Department. She was later promoted to the Opa Locka Police Department, where she worked as a Property Specialist until her retirement. Eddie Mae wore many hats and was a loving, caring and God fearing woman. She formed a relationship with God early in life and accepted him as her Lord and Savior, Jesus Christ. She joined the New Pineville Baptist Church in Leslie, GA. Her most precious gift was the birth of her four children, whom she taught good morals, sound values, respect and self worth. Above all she taught them to love God and brought them up in his admonition. She taught them to aim high and that all things are possible with God in their lives. Eddie also had a passion for sewing. She made gowns for proms and weddings and loved sewing for her family. She also loved to cook and of course we all LOVED her sweet potato pies the most.. She also loved poetry and music and shared this passion with her children. Hearing familiar sounds of Otis Redding, Marvin Oaye, Al Green and the Staple singers to name a few, but her favorite were the sounds of Mahalia Jackson and Pastor Shirley Caesar. She was a member of Antioch Baptist Church in Miami, Florida under the leadership of Pastor Arthur Jackson, where she attended regularly until her illness. Eddie Mae was called home on August 22, 2011. She was met by her Mother Elnora, Father Leaston Sr., brothers, Joe, Leaston Jr., Eugene and Nathaniel; Sisters: Annie Clara, Sarah and Gertrude; all of whom preceded her in death. She leaves precious memories to her four children: Ronnie, Milton, Melvin Henderson (Arlington, GA); Daughter, Gwendolyn Henderson Robinson (Miami, FL); Seven grandchildren: Garrett Robinson, Corey J. Robinson, Milton Henderson, Jr., Marcus Robinson, Tyshia Graham Henderson, Camekia Douglas Henderson, D”ynia Henderson, all of Miami, FL; One great grandson, Master Julius A. Scott, and Tyshia. Six sisters: Nadine(John) King, Smithville, GA, Vera (Arie) Arney, Dallas, GA, Rena Cooper, Conyers, GA, Barbara Linnear, Eartha (Johnny) Robertson, Augusta, GA and Irene (AL) Rutherford, Americus, GA; Eight Brothers: Willie Cooper, Eddie Lee(her twin) (Effie) Cooper, Arthur (Carolyn) Cooper, Leslie, GA, Reubin (Vivian) Cooper, Ceasar Cooper, Miami, FL, Tony(Amanda) Cooper, Americus, GA, Thomas Cooper (Angellette), Fayetteville, N.C., Royzell (Shirley) Cooper, Vienna, GA; Sisters-in-law, Minnie Cooper, Tacoma. Washington, and Brenda Delom Cooper, Leslie, GA; A special niece who was like a sister, Evelyn Jordan, Miami, FL; three of her “Golden Gurls”, (BFF’S) Louise Thompson, Eve Jones, and Ms. Barr, all of Miami, FL, also a host of nieces, nephews, cousins and relatives.